Enlarge/ A Voyage car at the Villages, a retirement community in Florida. In November 2017, Waymo announced that it would start taking drivers out of the driver’s seat of its prototype self-driving vehicles. A year later, Waymo still seems to be far away from completing that process. In fact, last week the Information’s Amir Efrati reported that Waymo may actually have moved backward recently. “Within the past month or so, due to concerns about safety, the Alphabet company put so-called safety drivers back behind the wheel of its most advanced prototypes, ending a year-long period in which those people generally sat in the passenger or back seat,” Efrati wrote. We asked Waymo about this, and a spokesperson dismissed the report as nothing new, saying that the company regularly changes the mix of cars with and without safety drivers. Obviously, no one should fault Waymo for keeping drivers behind the wheel of its cars as long as necessary to ensure safety. 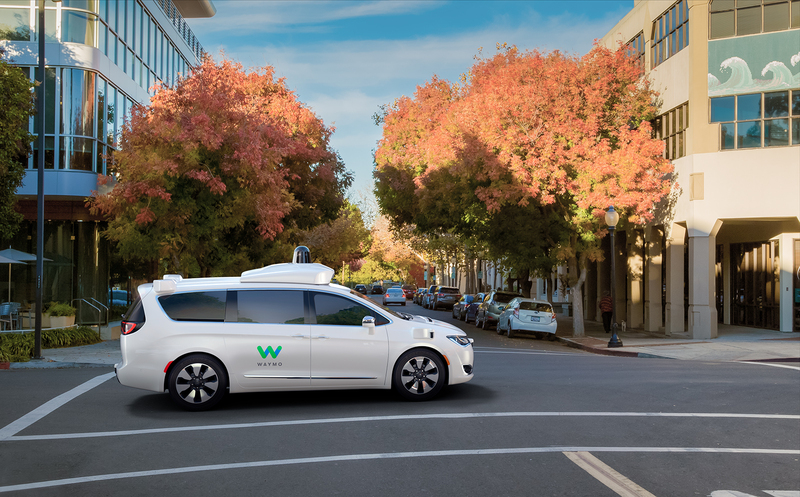 Still, the transition to a fully driverless operation is going more slowly than I expected a year ago—and that makes me wonder if Waymo has bitten off more than it can chew. When most people first think about self-driving cars, they envision walking into a dealership and buying a car capable of driving itself anywhere at the touch of a button. But this isn’t how self-driving technology will work—at least for the next few years. Instead, leading self-driving companies—including Waymo, GM’s Cruise, Ford’s Argo, and well-funded startups like Aurora and Zoox—are working on self-driving taxi services that will operate in limited geographic areas. This makes the self-driving problem easier because it limits the number of scenarios their cars have to handle at the time of initial launch. For example, the fact that Waymo is initially launching a taxi service in the Phoenix area means that Waymo doesn’t have to worry about mastering snowy conditions. Waymo is working on its snow driving capabilities, but the company can start operating in Phoenix before it has completed that work. For the last couple of years, I’ve thought that this incremental approach made a lot of sense. But in recent months I’ve started to wonder if Waymo’s approach isn’t incremental enough. Developers of self-driving cars face a basic chicken-and-egg problem: to launch fully driverless cars, they need reams of data demonstrating that the software is safe. But getting that data is very expensive, because you have to test cars on public roads with a highly trained safety driver in each car—and in some cases, a second person in the passenger seat. Waymo has been plugging away at this problem for 10 million miles and apparently still isn’t confident enough in its technology to operate most of its cars in fully driverless mode. To do that, it needs to make sure its cars can master every situation they might encounter on roads around Chandler, Arizona, the Phoenix suburb where its commercial operations will begin. Once a company is confident enough to dispense with the safety driver, then collecting data becomes much easier and more affordable, because it can be done while ferrying around paying customers. So what if there was a way to get fully driverless cars on the road more quickly?